‘YOUR GENERATION’ RSD 7″ RED VINYL RELEASE! 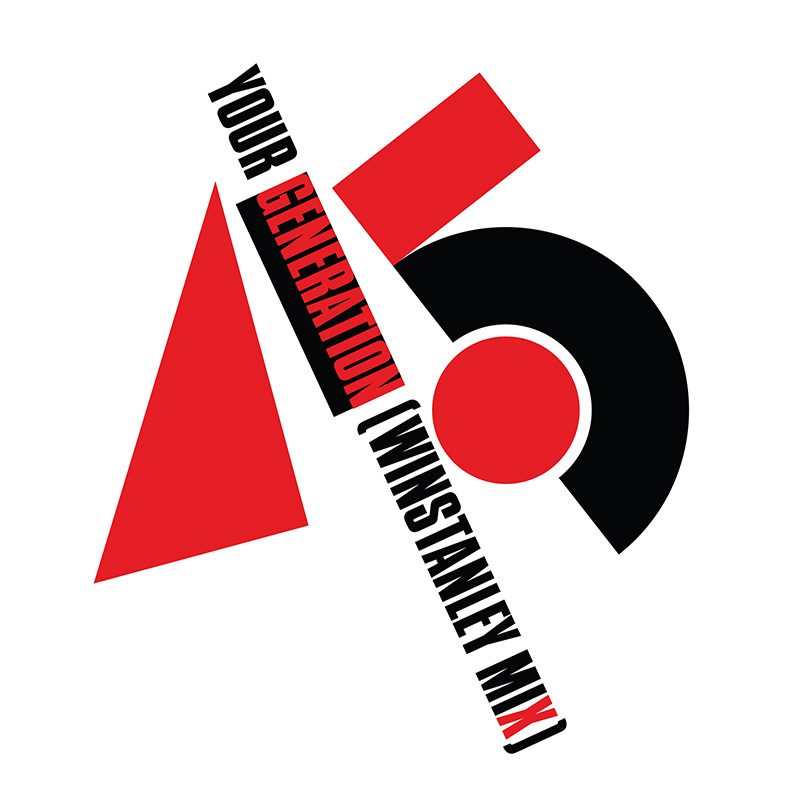 On April 13, Chrysalis Records will release a Record Store Day exclusive featuring a previously unreleased mix of the Generation X classic single ‘Your Generation [Winstanley Mix]’ b/w ‘Trying For Kicks [Winstanley Mix]’ as a limited edition red vinyl 7” single. These tracks are exclusive to this release and are not featured on the upcoming Deluxe Edition of their debut album, Generation X. Check your local independent record shop for Record Store Day availability. On 26th April, Chrysalis will release a Deluxe Edition of Generation X, the self-titled 1978 debut album by one of the great British punk bands of the late 1970s. Generation X’s story is deeply rooted in the London punk scene. Singer Billy Idol was a member of the hugely influential Bromley Contingent while bassist Tony James had played with both Mick Jones and Brian James who went on to form The Clash and The Damned respectively. Both Idol and Tony James joined punk band Chelsea in early 1976 before leaving to form Generation X. Taking their name from an influential 1965 book on mod culture, the band’s line up was finalised in early 1977 by guitarist Bob ‘Derwood’ Andrews and 18-year-old drummer, Mark Laff (who had previously drummed with Subway Sect). Managed by Roxy Club founder Andrew Czezowski, the band signed to Chrysalis in the summer of 1977, releasing their first single, Your Generation, that September. With a sleeve co-designed by Idol and James with legendary in-house Stiff Records designer, Barney Bubbles, Your Generation was a slice of power-pop punk that announced the band’s arrival in style. It was followed in November by Wild Youth, a song inspired by street graffiti which the band had seen on a photo shot. In February 1978 the band released the single Ready Steady Go. A potent pop song, it boldly celebrated the icons of Sixties pop, going against the orthodoxy of the times. It was followed that March by the release of their self-titled debut album, produced by Martin Rushent (Buzzcocks, The Stranglers). Featuring 11 songs, Generation X stands out as one of the best albums of its time. Alongside established favourites such as Listen, Kleenex and Day By Day, it also featured Kiss Me Deadly, written just two weeks before the band went into the studio. A musical epic that repositioned the mood of Bruce Springsteen’s New York street opera Jungleland in the West End of London, Kiss Me Deadly showed just how much the band were moving away from ram-a-lama, three-chord punk towards a more mature brand of storytelling rock ‘n’ roll with greater depth, feeling and texture. They could, of course, still rock out, and the album closed with a no-holds-barred rendition of Youth Youth Youth. Recorded in one take in a midnight session, with Derwood having set up a wall of amplifiers behind him in the studio, it features one of the great guitar solos of the punk era. The album, with a cover shot by Gered Mankowitz, remains Generation X’s defining moment. While all four members went on to further musical projects – and, in the case of Billy Idol, a solo career which would turn him into an international star – the fires that burned when the four of them were in full cry from 1976 to 1979 remain an inspiration: over four decades since its creation, the first Generation X album is a musical landmark that continues to fascinate. Charting at number 29 on its release, the album has gone on to become one of the classic punk debuts which has been a major influence on successive generations, particularly in the U.S. Rolling Stone magazine placed it at number 7 in their 50 Greatest Pop-Punk Albums, and it’s cited by the likes of Nirvana/Foo Fighters’ Dave Grohl and Green Day’s Billie Joe Armstrong as a vital and seminal punk album. The Generation X expanded deluxe edition CD set has been newly remastered from the original production tapes and includes 11 previously unreleased recordings. CD1 contains the original UK 11 track album with CD2 including all the A and B-sides of their singles from the period, 11 previously unreleased outtakes, a single mix and a number of mixes made by engineer Alan Winstanley (Madness, Elvis Costello, Morrissey). This 2CD is an 8-Panel Digipak with O-Card and 12-page booklet, with previously unseen photos and newly commissioned sleeve notes by journalist Adrian Thrills. The expanded deluxe edition vinyl box set has also been newly remastered and cut from the original production tapes. LP1 contains the original UK 11 track album, LP2 includes all the A and B-sides of their singles from the period and LP3 contains 11 previously unreleased outtakes, a single mix and a number of mixes made by engineer Alan Winstanley (Madness, Elvis Costello, Morrissey). All produced by Martin Rushent except * Produced by Phil Wainman. Tracks previously unreleased except track 10. Deadland Ritual haben Ende letzten Jahres für ein kleines Beben in der Hardrockszene gesorgt. 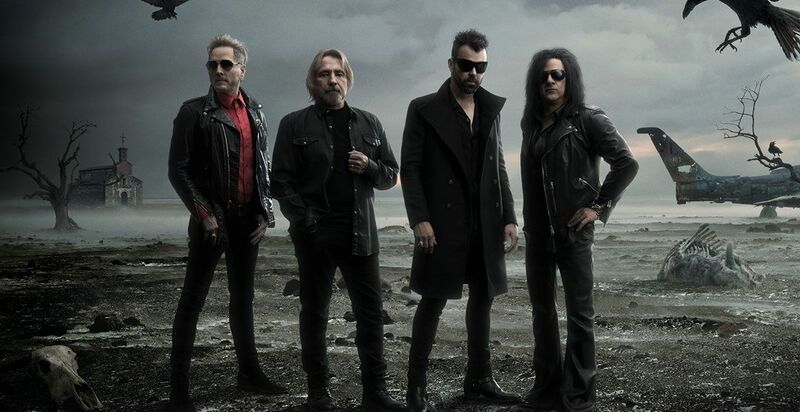 Die brandneue Hardrock-Supergroup besteht aus Matt Sorum, ehemaliger Drummer von Guns N‘ Roses & Velvet Revolver, Sänger Franky Perez von Apocalyptica & Scars On Broadway, Gitarrist Steve Stevens von Billy Idol und Black-Sabbath-Legende Geezer Butler am Bass. Jetzt kündigt das Quartett zwei exklusive Deutschland-Shows im Juni in Berlin und Hamburg an – der Vorverkauf bei EVENTIM startet am Donnerstag, den 31. Januar um 10 Uhr. Mit „Down In Flames“ gibt’s zwar bisher erst eine Veröffentlichung der Kombo, aber die macht definitiv neugierig auf alles, was da folgen mag.